Have fun exploring on a nature trail or even in your own backyard. Turn it into a learning activity and journal about what they saw while they were exploring. Stop and follow those ants, where did they go? What were they carrying with them? What did they look like? Science doesn’t have to be all textbooks, enjoy the weather outdoors and have fun at the same time. Follow those ants, watch those ladybugs, sketch those flowers, whatever your kids desire. My daughter loves flowers while my boys love bugs, you can make everyone happy outside. My daughter loves watering her flowers while my son loves watering our garden. See what these other ladies are doing for their nature studies. Hi there. Thanks so much for these awesome printables! 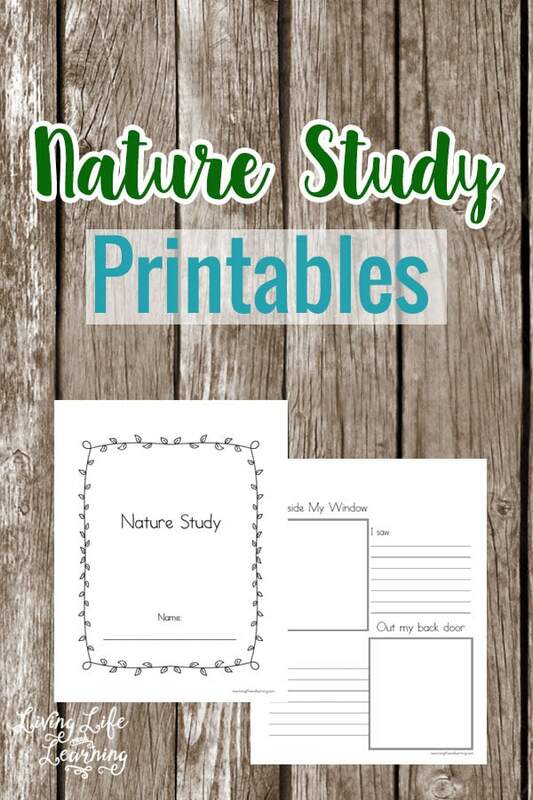 The Nature Study Printable is not working however. The email says that there isn’t a download link available. Can it please be fixed. Thanks a lot. Thank you for letting me know, if you try it again, I fixed the issue.